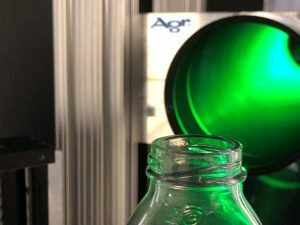 With increasing focus on sustainability in packaging, Agr’s new Lightweight option for the Process Pilot® blowmolder management system gives brand owners and bottle manufactures another tool to meet this complex and growing challenge. The Process Pilot system, with the Lightweight option provides assurance that the limited material available for producing a light weight PET bottle is distributed exactly where it needs to be, and at the appropriate thickness, to ensure proper performance. There are many facets to this issue and improving the sustainability footprint of a product or brand can be a complex undertaking. Most avenues to sustainability are not under the direct control of the bottle manufacturer or brand owner. One option that is within their control however, is the reduction and optimization of the amount of resin that is used to manufacture the bottles. Resin (or weight) reduction per bottle does not need to be excessive to have an impact with regards to sustainability and financial benefits particularly when factoring in the quantity of bottles produced over a given period of time. Over the years, many PET bottle manufacturers have made great progress reducing excess material and moving towards lighter, more sustainable bottles. However, as weights continue to be reduced, the role of process variation and its effect on material distribution increasingly becomes a factor in the success of the weight-reduction program. Agr’s Process Pilot blowmolder management system was developed to address this issue and offers manufacturers a valuable tool to use in their weight reduction efforts. 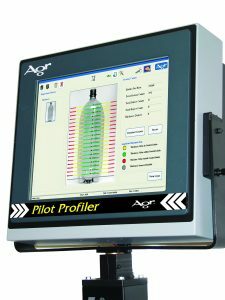 The Process Pilot system, with Agr Pilot Profiler® measurement technology installed inside the blowmolder, provides a means for manufacturers to accurately measure material distribution on every bottle (to 0.05mm), in real time, and proactively adjust the blowmolder to maintain proper distribution, countering the effect of process variation. In the push for more sustainable bottles, weights are being reduced even further and, with that, the sidewall thickness of the bottle. In order to process these bottles effectively and control the material distribution, additional measurement accuracy is required. The new Lightweight option, incorporated into the Pilot Profiler measurement component, offered with the Process Pilot system was developed to address this need for even greater measurement accuracy and control on very light bottles. With this option, a level of control is now available with the Process Pilot system that extends the measurement range to 0.025mm, with an accuracy of +0.01mm for PET bottle sidewall material. 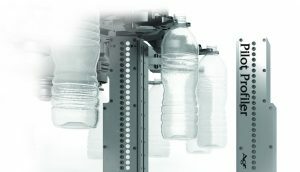 This added functionality delivers greater distribution control on bottles with very thin sidewalls or at specific locations on other types of bottles where precise material management is critical to meet performance and quality requirements. This capability removes one of the barriers to producing usable, lighter and more sustainable bottles. Agr’s Process Pilot automated blowmolder control systems are operating on over 400 PET bottle production lines. They have proven to be a vital tool in the production of light weight bottles while improving overall bottle performance and quality. The Process Pilot system is unique in that it manages the blowmolder based on direct bottle measurements, on every bottle produced. By controlling the blowmolder based on direct feedback from bottle measurements rather than just blowmolder performance indicators, the Agr system can ensure that the final product has the desired quality and performance attributes in spite of environmental, blowmolder or material variations that can occur during the production process. Now with the Lightweight option, the process can be controlled for even the lightest bottles. The option is currently available on all new production Process Pilot systems. To achieve these capabilities on existing systems, Agr also offers an upgrade package that can be easily installed in the field. As of January 14, 2019, Ms. Marta de la Torre has been named Regional Director of Sales and Service for Latin America. A 20 year veteran of the Agr organization, Ms. de la Torre has vast experience in these regions with her former role as Sales Regional Manager. She has successfully provided knowledge of quality assurance and process control to the glass, plastic and packaging industries in the region. Latin America continues to offer development in the packaging markets, evident with significant growth in Agr’s customer base within this area. 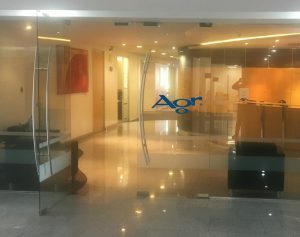 Following the opening of Agr Packaging Services in Mexico and to better support this growing customer base, Agr made the decision to advance the role of Ms. de la Torre as well as expand the sales force in the region with the addition of Mr. Sergio Ruiz. Mr. Ruiz comes to Agr following 10 years in process, project and sales engineering in the region. In addition, Mr. Israel Hernandez and his team of factory-trained service engineers continue to provide installation, service support and training to meet the needs of the customers within the area. Maintaining a local presence of Agr personnel is central to this market with the ability to respond to customer needs in a timely and cost-effective fashion. Agr International Inc. develops and manufactures a full line of laboratory and on-line testing/measurement devices for containers and similar products. The Agr headquarters and main manufacturing facility is located in Butler, PA, USA. Agr is committed to provide the container, filling and packaging industries with the most technologically advanced products available for quality control and productivity improvement. 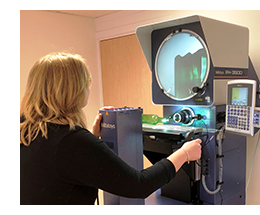 Agr International, Inc. recently announced the introduction of the Combined Coating Measurement System (CCMS) for measuring metallic coatings on both the finish and body regions of glass containers. This totally new device provides operators with a one-stop, single operation testing station for measuring tin oxide coatings applied to the container during the production process. This system utilizes Agr’s proven reflective coating measurement technology as a foundation and features a fully automated measurement approach. By incorporating a number of technological advances in combination with automation, Agr has been able to achieve a 33% improvement in testing throughput and a 70% improvement in precision with this device over previous coating measurement systems. According to Agr sources, the basic goal of the CCMS development program was to provide the industry with a leading-edge system that could provide the measurement precision needed for process management requirements while reducing the labor intensity of coating measurement. In order to achieve maximum precision on finish and body measurements, the CCMS incorporates dedicated measurement heads for each of the finish and body regions. One head is optimized to operate with the precision necessary for the limited area of the finish region. The second head is configured for body measurements where larger areas and heavier coatings are encountered. 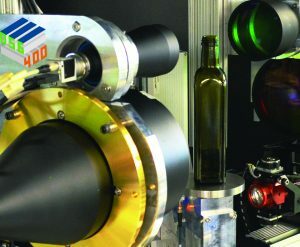 The advanced electronics of the system, in conjunction with dedicated measurement heads for finish and body, make it possible to precisely identify the presence of very small amounts of coating in the finish region while measuring heavier coating levels applied to the body of the container, all in one operation. The CCMS is designed for fully automated operation. Positioning of measurement heads, including vertical height location, container rotation and capture of measurement data is performed in a single progression, without the need for operator intervention during the testing sequence. Jobs can be created to measure the body or finish regions individually or a combination of both. For additional operator convenience, the system offers two testing modes. The “spot test” measurement mode affords the operator the ability to take a quick spot measurement on a single container location. The “job-based” test mode provides the operator with the ability to create and store jobs that can be used to measure multiple containers of the same type. In this mode, each measurement is performed at the same locations on the container body and/or finish, as defined by the job, on every container in the set. The CCMS provides a wealth of test data. Measured values are presented in easy to understand color-coded graphic format for each test in progress, to permit operators to readily identify measurements that fall outside of acceptable ranges. Job-based numerical results are also available in spreadsheet form, detailing the min/max/average data for each measurement (height and angle) for both body and finish regions on every container. The CCMS incorporates a Linux-based architecture and operating system to manage the continuous, multi-function operations of this system. Linux was chosen for its ability to run efficiently on the embedded computing platform that manages the CCMS test operations as well as its proven stability, security and long-term availability. The CCMS is the latest generation in a long line of coating measurement devices supplied by Agr for the glass container manufacturing industry. The CCMS is part of Agr’s broad line of on-line, laboratory testing and quality control devices for the glass container and filling industries. Agr International has introduced the Dimensional Sampling Gauge, Series 400 (DSG400). This is the latest generation in a line of high-precision dimensional gauging systems designed by Agr expressly for glass container measurement. While the DSG400 retains much of the look and feel of previous versions of Agr’s Dimensional Sampling Gauge, this version incorporates a multiplicity of new hardware, features and capabilities that further expand the handling, throughput, precision, communication and measurement functions of the DSG product line. 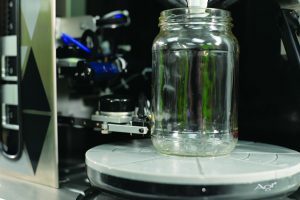 When performing the complicated measurements required for managing glass container quality, maintaining sufficient throughput without sacrificing precision is always a concern, The DSG400 overcomes this in several ways. An advanced no-job change feature makes it possible for the DSG400 to accept bottles of different sizes and shapes from the same or multiple lines without the need for an operator to adjust handling components or change parts. 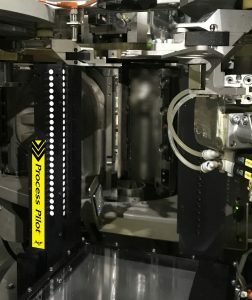 This same enhanced tooling also facilitates positive bottle placement and increases the measurable thickness range for pharmaceutical and small format bottles. A new quad-core central computer system with a USB 3.0 camera interface and an embedded operating system provides the horsepower necessary to manage high speed communication with the system’s multiple cameras. This increases overall processing speed and vision frame rates, making it possible to capture more images, with higher density, in less time. The DSG400 precision is improved over previous models with new camera technology that sports a 2x increase in pixel density. A major emphasis for the DSG400 is measurement precision. Enhanced telecentric lighting provides for improved edge shadow for the highest dimensional precision and repeatability. This improvement is of major significance as it provides for more distinct categories and lowers the percent of process variation for individual measurements. Several enhancements have been made to simplify and improve measurement capabilities for label panels and finish thread measurements. These include an optional “point cloud” function for contour visualization of label panels. An intelligent “T” measurement has been added to improve precision and simplify the measurement of non-overlapping, partial overlapping and depressed threads. For one of the most difficult measurements to perform by hand, an enhanced lug algorithm has also been incorporated to accurately measure lug finishes including L, Lug diameter and gaps between lugs. When measuring thickness, it is important to be able to measure material distribution over the complete bottle profile including sidewall, shoulder and angled areas. The DSG400 provides high accuracy thickness measurements simultaneously with dimensions by seamlessly incorporating the Agr’s Thickness 360® measurement system. With its patented vision-guided, three-axis positioning and optical measurement, Thickness 360® can measure round and non-round panels, tilted sidewalls or even corners at an accuracy of +/- 0.02 mm and repeatability of +/- 0.01mm. Thickness measurements, on the DSG400 are further enhanced through optimized bottle positioning and additional software features that extend the measurement range making it possible to measure thickness over the complete body sidewall particularly on small pharmaceutical ware. Industry 4.0 standard communication protocols have also been incorporated into the DSG400 to improve communications and support Industry 4.0 objectives. These include CSV added outputs, XML and TCP/IP connectivity as well as XML tags on all data points. The addition of this capability expands the DSG400’s ability to talk to other devices, support remote computer job change (commands and uploads) and interface with factory robotic handling systems without operator intervention. 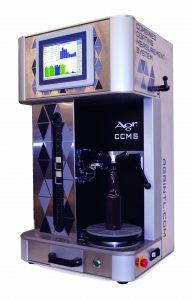 The Dimensional Sampling Gauge is Agr’s premier dimensional measurement system that functions as an automated laboratory test station, providing hands-free, high-precision measurement of critical glass container attributes such as body and finish dimensions, weight, pushup, bore, wall thickness and, when mated with Agr’s SPT2™ (OmniLab® configuration), volume and pressure testing, all in one system. 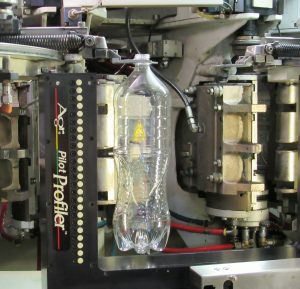 With an Agr Process Pilot® Automated Blowmolder Control System mated to a Sidel SBO 16 Universal blowmolder, Mexican beverage producer GEPP has trimmed the weight of its 2L low-carbonation PET bottle from 52g to 46g. Given blowmolder operating speeds of 24,000 bottles per hour, the six-gram reduction is saving the company approximately seven tons of resin over each 48-hour production run. This impressive weight decrease has been accomplished against a backdrop of shifting environmental conditions that add an extra layer of complexity to the blowmolding process. 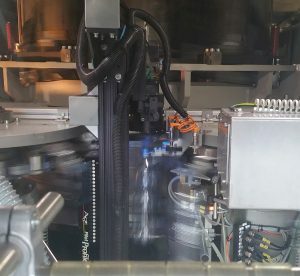 Despite temperature swings of 40 degrees or more throughout the day, Line 1 at GEPP’s Hermosillo plant, in the northwestern Mexico state of Sonora, turns out PET bottles that consistently hit the new light-weighted target as it operates around the clock. 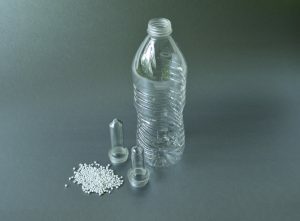 Successful light-weighting demands rigorous adherence to the material distribution recipe developed for the bottle type. That is a lot harder to do when working with less material, observes GEPP Corporate Technical Manager Jesús López. 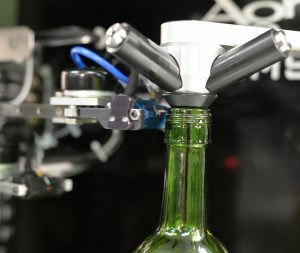 Pilot’s high-precision sensors, deployed in the blowmolder takeout area, measure the thickness of each bottle at 12.5mm intervals along the sidewall. Agr’s proprietary algorithms instantaneously analyze the measurements and compare them to the recipe. If material distribution starts trending out of spec, Pilot adjusts the appropriate blowmolder function control—for example, tweaking the pre-blow setting or lamp temperature—to maintain consistent production. Eliminating the need for manual intervention, which is frequently an exercise in guesswork even for skilled operators; this automated fine-tuning makes sure the right amount of resin is distributed to the right area of the bottle, regardless of ambient conditions. In addition to the bottom-line impact of less material consumption, the Agr system has enabled GEPP, the exclusive bottler of PepsiCo trademark beverages in Mexico, to make other major productivity gains, especially when it comes to changeover. Hermosillo’s Line 1 produces a mix of no-, low-, and high-carbonation bottles for six different products: Pepsi™, 7UP®, Mirinda (an orange-fla vored soda), Manzanita Sol (apple flavor), Limonada (lime), and Epura (water)—in multiple sizes: 600mL, 1L, 1.5L, 2L, 2.5L, and 3L. Changing from one container to another used to take an average of two hours—about 1.5 hours to replace the molds in the 16-station blowmolder, and then another half-hour for process verification and quality checks. Now, with the Process Pilot installed, the blowmolder produces good bottles on start-up, with no need for sampling and tweaking, making each changeover 25% faster—while also saving 6,000 bottles from scrap. The benefits of robust bottle production also show up downstream in the integrated bottle-making and filling plant. López has noted far fewer disruptions in labeling, capping, and shrink wrapping due to non-conforming bottles. On the infrequent occasions when jams occur, “Pilot brings the process back to baseline two to three times faster,” he says. A seasoned bottle veteran who was heavily involved in GEPP’s transition to PET from glass in the mid-1990s, López is responsible for all PET operations across the company’s 25 plants. Hermosillo, with its long-established history and talented operations team, represents the first site to mount a light-weighting initiative in conjunction with the Process Pilot. The success of that effort, in tandem with faster blowmolder start-ups, shorter changeovers, rapid jam recovery, and reduced scrap, has generated an attractive return on investment, not only on the 2L container but other sizes and types as well. Even more, it gives GEPP the confidence of improved bottle quality, which for López is the “paramount” consideration. Looking ahead, López would like to “standardize as much of the equipment and process as possible.” He nurtures the vision of installing the system on Hermosillo’s second blowing line and establishing the plant as the training site for all GEPP blowmolder operations throughout the country. “Process Pilot manages how the blowmolder makes the bottle so it always comes out the same,” López concludes. American Glass Research, a subsidiary of Agr International, recently announced that Patrick Goossens has joined the AGR Testing Laboratory team in Delft, the Netherlands as a Research Scientist. 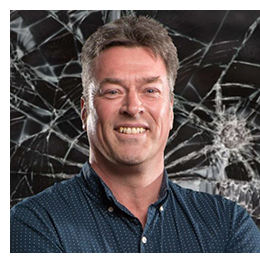 Patrick’s main areas of responsibility include glass forming issues, manufacturing audits and fracture diagnosis. He will also have considerable involvement with internal research projects and technical papers as they relate to container manufacturing and container performance. Patrick has over twenty years of experience with a leading manufacturer of glass packaging for the food and beverage industry. Patrick graduated from NCOI Business School, Rotterdam and holds a VAPRO degree in Process Technology. At the 2018 Expo Pack show, Agr International, Inc. will be in booth 3828 featuring its line of products designed to assist container producers, converters and fillers stay competitive while meeting the increased quality demands of today’s changing world. The show runs June 5-8, 2018. 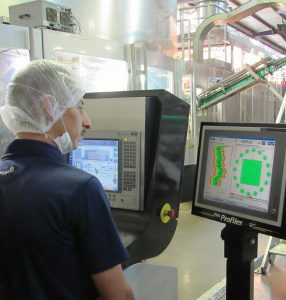 Of primary focus is Agr’s Process Pilot® automated blowmolder management system for managing the production and quality of PET beverage containers. This system was designed to simplify the production of PET bottles and is ideal for PET bottle converters and beverage producers that self-manufacture PET bottles yet have limited manpower to oversee blowmolder operations on a continuous basis. The Process Pilot product group offers precise material thickness distribution management on PET bottles, while offering hands-off blowmolder control. With the trend towards ever lighter bottles, the Process Pilot system offers producers the ability to aggressively light weight bottles to the absolute minimum while providing the confidence that material is distributed, with the proper thickness in all critical areas, on every bottle produced. Optimizing the process to suit the needs of the product, application or business objective is the third step in Agr’s three-step approach. Agr staff will be on hand to discuss the latest developments in its line of blowmolder management products as well as its complete line of quality management equipment that includes pressure testing, shelf-life, thickness measurement and dimensional gauging systems for plastic and glass containers. Agr International’s automated laboratory test cell, AutoLab™, provides a solution for meeting the ever increasing throughput demands on the QA team and the testing laboratory in today’s high production bottle manufacturing operation s. The Agr AutoLab provides an automated solution for either a single Agr laboratory device or up to three, tightly integrated Agr testing systems. The AutoLab can be configured with Agr’s most popular plastic container testing devices including the Gawis® thickness and dimensional measurement system, the TL2000 Topload Tester or Combi Tester combined fill height and top load system, and the PPT3000 pressure and volume expansion testing system. These devices can be integrated individually to incorporate robotic handling or together as part of a complete automated laboratory where multiple tests are performed hands free. The Agr AutoLab incorporates a heavy duty platform that can support up to three independent test stations. At the core of the cell is a precision pick and place industrial robot that manages sample selection, placement of samples into the appropriate test station and the transfer of samples from one station to the next when multiple testing systems are included. 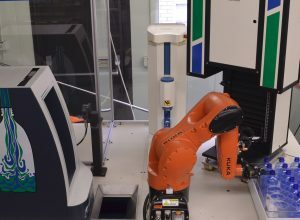 When tests on the individual sample are complete, the robot can either discard samples or return them to the sample tray for further analysis. Test results from each testing station are compiled with data correlated by sample and consolidated in a single test report. The rugged, compact design of this system makes it possible to locate it on the plant floor, near critical production operations, or in the traditional laboratory setting. AutoLab operation, including overall job setup, robot, sample coordination and tracking, as well as activation and control of individual test stations, is managed by a central computer housed within the test platform. The system incorporates a touch-panel user interface that can be positioned by the operator for convenient access for basic operational functions. A web-based Laboratory Information Management System (LIMS) is also provided and can be used as a remote user interface for this system. Connecting through a local web host, it offers the means for wireless remote management via laptop, tablet or smart phone for overall system operation, job setup and loading, tracking and data reporting. Specialized bottle and preform trays that represent a complete mold round make it easy for operators to prepare sets of samples in advance and then load them into the system for hands-free processing. To enhance throughput, a pipeline approach is used for sample handling and testing, making it possible for concurrent operation of all testing devices. The robotic handling system ensures that samples are moved with efficiency and precision throughout the testing process. The AutoLab is designed to provide maximum testing throughput. In addition to organizing and consolidating critical testing operation in one compact area, the system offers a number of benefits including, walk-away operation, efficient management of samples and testing, documentation of results and, most significantly, an improvement in testing throughput of as much as 300%. In addition to increased throughput, the automated cell approach also offers significant “cost-to-operate” savings. Agr International is sad to announce the passing of our friend and colleague, Bill Schmidt, following a courageous battle with cancer. During his 35 years as part of the Agr Family, Bill’s knowledge, dedication and mentoring benefited all who had the opportunity to work with him. His work will continue to be part of Agr products for many years to come. 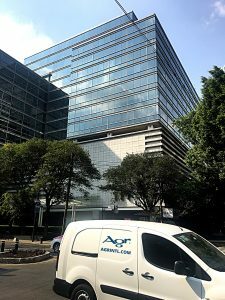 Agr International has announced the opening of Agr Packaging Services, a new sales and service center located in Mexico. This new entity is a wholly owned subsidiary of Agr International (USA). Through this entity, Agr will manage all of the sales, parts supply, service and support operations for Agr equipment in Mexico, Central America and the Caribbean. As the packaging markets in Mexico and the surro unding region continue to expand, Agr has recognized a significant growth in the demand for its quality management and process control equipment. This is evidenced by an ever expanding customer base in this region. The establishment of Agr Packaging Services is intended to meet this growing demand with a direct sales and service operation centrally located in the region that utilizes factory-trained Agr personnel. Sales and associated efforts will be handled by Mr. Carlos Gonzalez and Mrs. Marta de la Torre. Mr. Gonzalez brings with him extensive experience related to plastic production, specifically in container processing and package development. 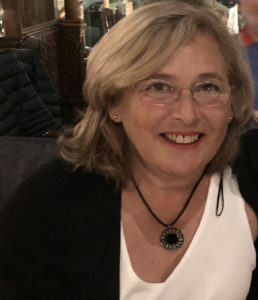 Mrs. Marta de la Torre, a long-time employee of Agr, has vast knowledge in glass container production, quality management and PET bottle manufacturing. Mr. Israel Hernandez will lead the service and support operations. He and staff of four service engineers are responsible for all installation, service, support and training related to Agr products within this region. All are factory trained and certified on Agr equipment. Mr. Hernandez brings a solid background and experience in preventive, corrective and predictive maintenance on high precision measurement equipment. The establishment of Agr Packaging Services Mexico is another step in Agr’s global strategy to provide responsive service and support to Agr customers throughout the world. Poland’s mineral water bottler Nałęczów Zdrój S.A. is well known for the purity of its best-selling brand Cisowianka, sourced from pristine aquifers near its plant in the southeastern village of Drzewce. With such a strong reputation to uphold, as the company prepared to launch a distinctive new 1.5 liter PET bottle for the Cisowianka line, it was guided by the imperative to produce a container capturing the purity of the brand. The special shape of the new Cisowianka bottle, with its wasp-waist middle designed for consumer comfort and easy pouring, demanded a robust manufacturing process to assure both optimum bottle performance and downstream production efficiency. During the redesign initiative, Nałęczów Zdrój concluded that the linchpin of the process was precise distribution of the PET material by the blowmolder, especially to the bottle’s sensitive waist region. To meet the challenging material distribution specifications, the company equipped each of its two newly installed KHS Blowmax Series IV blowmolding lines with a Process Pilot® automated process control system from Agr International. 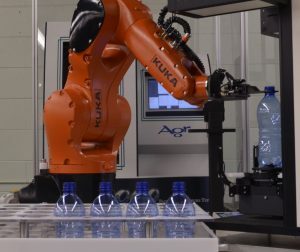 The Agr system incorporates three components: the Pilot Profiler® (PET material distribution measurement), Pilot Vision™ (visual defect detection), and the Process Pilot closed-loop control software, which provides the link between the bottle measurements and blowmolding machine controls. The Pilot Profiler relies on an array of sensors at the mold out-take to measure the material distribution on every bottle. The thickness data are fed continuously to the Process Pilot controls, programmed with the perfect dimensions of each bottle model. The Pilot controls automatically adjust the blowmolder to conform to the specified recipe, maintaining the desired material distribution at all points along the bottle sidewall—regardless of even slight changes in plant temperature or preform conditions, or other variations that could impact the blowmolding process. In addition to keeping the material in the right place, automatic thickness monitoring allows Nałęczów Zdrój to skip the time-consuming step of manually taking traditional, cross-section measurements, a labor-intensive process that requires considerable trial and error. Pilot Vision was instrumental in resolving another challenge to Cisowianka bottle integrity: sealing surface defects. System cameras inspect the sealing surface of every preform, rejecting those with any scratches or damage. The defect detection capability not only prevents disruption to downstream processing, it also eliminates the potential risk of product leakage and a compromised customer experience. The Agr Process Pilot system also serves as a valuable diagnostic tool for blowmolder maintenance, for greater filling line efficiency. By identifying the mold cavity where a defect originates, the system allows plant personnel to quickly address the issue and return to production with minimal downtime. The assurance that only commercial-grade bottles reach the filler enables the lines to run at higher speeds, an important advantage in the competitive water market, where costs are optimized based on economies of scale. The line configuration for the Cisowianka “wasp-waist” bottles has proven to play a key role in Nałęczów Zdrój’s financial strategy as well as market position. With the Agr Process Pilot systems mated to the KHS blowmolders, the company benefits from robust production and higher yields. The consistent quality of the shapely new bottles tells consumers they can enjoy their favorite mineral water with confidence, in keeping with the high repute of the Cisowianka brand. Not only does this system simplify and stabilize the production of PET bottles, but it also provides the versatility to manage bottle production in a manner most suitable to the product and application. Whether the goal is to make the lightest bottle possible, process preforms of mixed lineage or material quality, improve bottle shelf-life and performance characteristics, save energy or just run a stable process 24/7, the Process Pilot product group offers a means to realize this goal profitably and with confidence. Automated laboratory system — solution that offers a precision pick and place industrial robot to select, handle and transfer PET container and preform samples through multiple thickness and dimensional tests. Integrated with Agr’s Gawis® container measurement system, comprehensive measurements, including thickness and critical dimensional measurements can be performed without operator intervention. 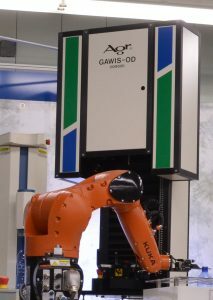 The tests are fully optimized and performed quickly and efficiently through the handling of the multi-axis robot and the fast throughput of the Gawis® measurement device. Test results are compiled with data correlated by sample and consolidated in a single test report. The system offers a number of benefits including hands-free, walk-away operation, efficient management of samples, testing operations and documentation of results, and, most significantly, an improvement in testing throughput. In addition to the Gawis measurement system, the automated laboratory system can be configured to incorporate Agr devices for top load, volume and pressure measurements, providing a complete laboratory automation solution to meet the challenges of over-worked testing labs and the ever increasing demand for testing to manage quality and support ongoing production. Agr staff members will be available to discuss these products and the rest of their complete line of process monitoring and quality control equipment for the plastic container industry. As an industry leader for over 90years, Agr is committed to provide the plastic container industry with the most technologically advanced products available for quality control and productivity improvement. Butler, Pennsylvania – January 2, 2018 – Agr International announced today a realignment of its sales force in order to better serve its customers located in Europe, the Middle East and North Africa. Specifically, effective January 1, 2018, Agr will focus its sales force along product and service lines to better support the distinct needs of each customer segment. Marco Palma, a 20+ year Agr sales management veteran, will lead the sales team targeted to support the equipment needs of glass container manufacturers. The Agr glass equipment product line includes market leading solutions targeted to address laboratory and cold end factory floor needs. 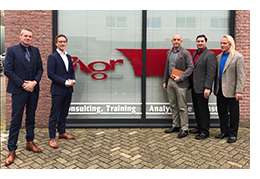 Alexander Broda, also a 20+ year Agr sales veteran, will work with customers who utilize the services offered by Agr’s new research facility located at Delft, Netherlands. The research services include glass production and filling line audits, schools as well as container design and breakage analysis. Christian Kapsamer, an experienced sales professional formerly with Husky, will lead the sales team targeted to support the equipment needs of plastic container manufacturers and the brand owners that utilize plastic packaging. The Agr plastic equipment product line includes the market leading reheat stretch blow molding automated process control solution, Process Pilot®, and a complete suite of laboratory solutions. Agr International Inc. develops and manufactures a full line of laboratory and on-line testing/quality control devices for glass and plastic containers and similar products. American Glass Research, a division of Agr International provides a wide range of testing, training and consultative services to the worldwide glass industry. The Agr headquarters is located in Butler, PA, USA. AGR’s new European testing laboratory in Delft, Netherlands is now open to serve the glass manufacturing and beverage filling industries. At this moment, all modern analysis and testing equipment has been installed and is ready for use. 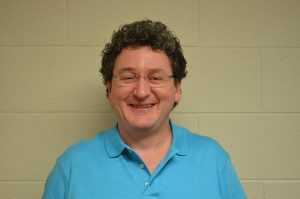 Peter de Haan, Senior Scientist/Manager of the Delft Office. City Council Member, Ferrie Förster, and Sr. Advisor Economy – Business Relations for the city of Delft, Remko van Eldik, were provided a tour of the laboratory and demonstrations of various testing equipment utilized for diagnosis, testing and analysis. Additionally, the staff will organize and conduct Training Seminars to be held in Munich, Germany; Krakow, Poland and Montecchio, Italy. On-site consultancy including filling line and glass plant audits can also be handled by the Delft staff. The office will be led by Senior Scientist Peter de Haan along with Jennifer Hu-a-ng and staffed with two lab technicians Laura van der Harg and Samantha Beijersbergen van Henegouwen. Jennifer will principally be responsible for office management. The full resources of the AGR North American offices are also available for material analysis, glass quality and complete container design and development. AGR has also developed and launched a new Dutch language version of the website to support the testing lab which details all of AGR’s services and training seminars. Click HERE to visit this new website. 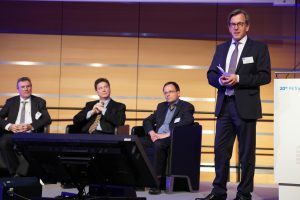 At the recent PETnology Conference, held in conjunction with drinktec 2017, Mr. Robert Cowden, Agr’s Chief Operating Officer, discussed the topic of Improved Beverage Line Productivity via Automated Process Control. The presentation was co-presented by Mr. Frank Haesendonckx, Director of Sales & Technology KHS. In his presentation, Cowden detailed the effect that process variability has on the blowmolding process and the cascading impact that this has on downstream beverage line efficiency and overall plant productivity. He pointed out that whet her the variability is a result of environmental conditions, operator skills or manufacturing practices; these all have an impact on bottle production and the ability to operate at optimum levels. “Managing variation in the blowing operation is the key to optimizing beverage line productivity, and the most efficient way to accomplish this is through automated blowmolder control,” explained Cowden. He stated that Agr’s Process Pilot blowmolder management system has proved to be very effective in reducing or eliminating the effects of environmental and manufacturing-related variables on the blowing process as evidenced by the four hundred plus unit installed base worldwide. 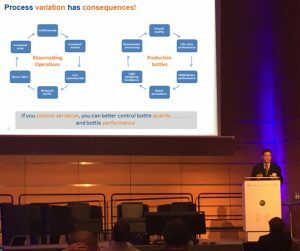 As part of his presentation, Cowden detailed two case studies that illustrated how production variation can be reduced through the entire production and filling process with the Process Pilot system. In the first example, the plant was experiencing large temperature fluctuations and high humidity. The line experienced inconsistent container material distribution that resulted in performance issues, most notably the prevalence of stress cracks that necessitated continuous adjustment to the process. After the installation of the Process Pilot system, process changes were reduced from 150 per month to just three. Base stress cracks were dramatically decreased by reducing the base wall thickness variation by nearly 80% and, as a result, customer complaints shrank by nearly 70%. As an added bonus, the improved stability of the process made it possible to further lightweight the bottle by two grams. The second example involved a plant that experienced numerous preform-related issues. The preforms used in this operation ranged in age from one week to six months, manufactured in five different plants, involved two different resins and were produced on over ten different injection presses. The variety of preforms made it necessary to maintain a number of different blowmolder recipes to accommodate the difference in performance from lot to lot and played havoc on the material distribution, further affecting downstream productivity. The installation of the Process Pilot system made a dramatic improvement in blowmolder management, most notably the ability to consolidate recipes from 30 to one. Additionally, a 65% average reduction in wall thickness variation was realized on the bottles produced, regardless of preform origin or age. The improved consistency in material distribution made it possible to increase the speed of the filling line as well as overall blow-fill efficiency by 10%. On the new development side, Mr. Frank Haesendonckx discussed the joint effort between Agr and KHS to implement Individual Mold Control on the KHS series IV and V blowmolders. Haesendonckx emphasized the intelligent maintenance system and how monitoring the performance of individual molds through the Process Pilot system could play an important role in this process. Individual Mold Control not only provides the means to quickly identify and correct performance issues on an individual mold station but also captures valuable mold-performance data that can be used to determine the optimal time to perform system maintenance, all while maximizing productivity. Agr’s Process Pilot system works in conjunction with the reheat stretch blowmolder to proactively manage and maintain container material distribution at a specified thickness to within ~0.01mm. This is accomplished by continuously monitoring every bottle for material distribution, analyzing minute changes and adjusting the blowmolder controls to maintain pre-defined distribution levels. With Individual Mold Control, this can be taken to the next level by providing the ability to fine tune material distribution on the individual mold basis, eliminating the mold-to-mold variability that is common with bottle production on blowmolding systems without this capability. Agr’s patented Process Pilot automated blowmolder control system has been on the market for several years and has amassed a significant global install base of major bottle converters and self-manufacturing brand owners. The Process Pilot system is unique in that it manages the blowmolder based on direct bottle measurements, on every bottle produced. By controlling the blowmolder based on direct feedback from bottle measurements rather than just blowmolder performance indicators, the Agr system can ensure that the final product has the desired quality and performance attributes in spite of environmental, blowmolder or material variations that occur during the production process.